Go Bake or Go Home: Oatmeal for Breakfast ! Oooooh! Breakfast oats! My new fave winter morning meal. I've never really liked oatmeal. I thought it was goopy like baby food and way too filling. It felt heavy and lumpy in my stomach. So I generally made a point of staying away from it. 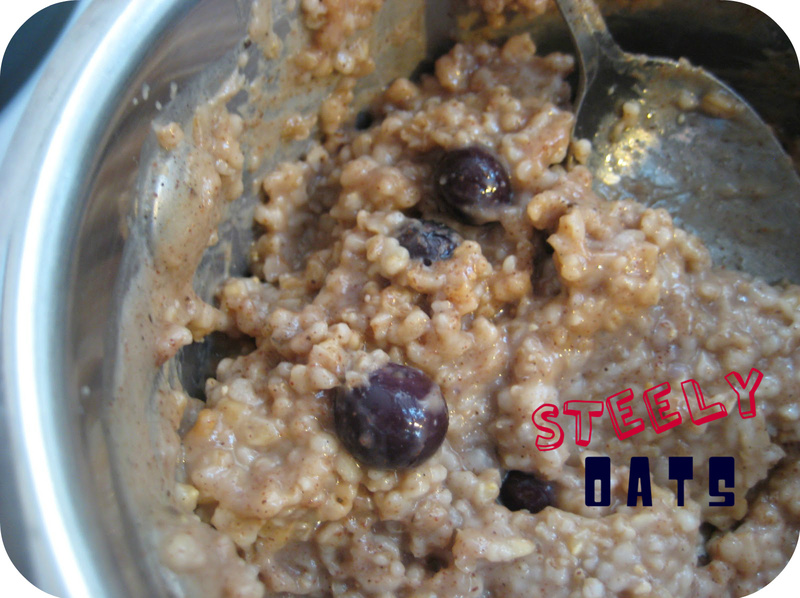 Well everything changed when I decided to give steel cut oats a try! So yummy and so completely different than regular old rolled oats. The downside, you may be thinking, is that they take ages to cook, right? Nope! Just pour some steel cut oats into your cooking pot the night before and cover with double the amount of water. Stir and let sit out on the counter or stove top until morning- when you're ready to fire up the flame and eat some deliciousness! You're going to love it. I promise. 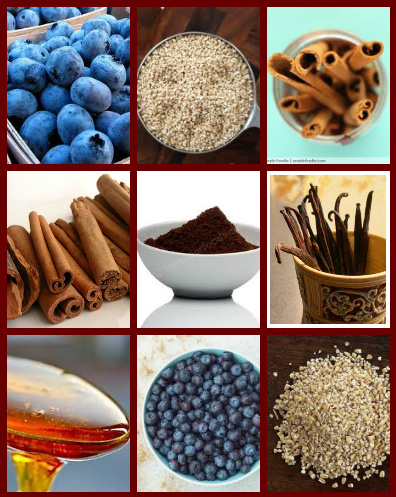 Place the steel cut oats and water in a small saucepan. Cover and allow to sit over night on the counter or stove top. This is not a necessary step but it will reduce the cooking time, which is always a good thing in the morning! The longer the soak, the shorter the cooking time. So go ahead and soak them right after dinner when you're done cleaning up the kitchen. In the morning, stir oats and mix in the pinch of salt, a little maple syrup, coconut and non-dairy milk to make a soupy consistency. Bring mixture to a boil and stir. Simmer with the lid on for about 15 minutes. Once the oats are tender, add the fresh blueberries, vanilla powder, cinnamon and allspice. This can easily be refrigerated and reheated the next day.